petition: No "Black Sites" on US Soil! No "Black Sites" on US Soil! 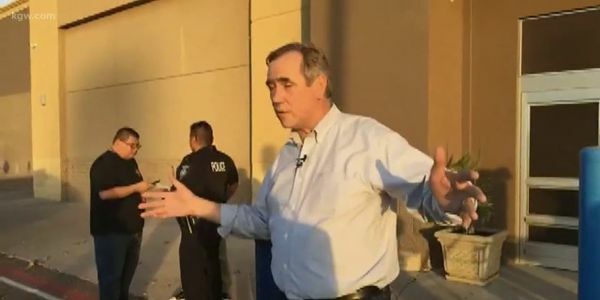 When United States Senator Jeff Merkley showed up at a Texas immigrant detention center to review its conditions, officials didn't just prevent him from entering, they actually called the police on him. This cannot stand. A detention service for non-citizens that is shielded from scrutiny is a recipe for human rights abuses and above-the-law behavior, just as it was in black sites off US oil during the Bush-era "War on Terror". Those sites were full of human torture since they had zero oversight or tranparency. That's why we must ensure immigration detention centers in the US don't turn into the same thing! Sign the petition to demand more transparency in this center to elected officials, watchdog groups, journalists and so forth. Extra-legal measures in this secret, American-operated sites, including torture and indefinite detainment without a trial, represent the great moral failure of America in modern memory, and part of what made it possible was a lack of transparency and accountability. Honest American citizens need to draw a line in the sand: no "black sites" on US soil. Immigrant detention centers need to be open to unimpeded visits by duly-elected lawmakers who must make informed decisions about national immigration policy, as well as to watchdog groups and journalists. Secretary Nielsen has defended the Trump administration's "tough, impassioned talk" on immigration. So if she is doing nothing wrong here, then she should have nothing to hide and be willing to make these changes. Sign the petition to ask for full transparency in this detention center. If it can't be shown to the public, it should be shut down completely. Secretary Nielsen, you have defended the Trump administration's "tough, impassioned talk" on immigration. If you stand by current policy as enacted and enforced by the Department of Homeland Security's Immigration and Customs Enforcement, then you should have nothing to hide. Prove to us that this is the case, and let all Americans see, with both eyes open and for better or worse, what this administration's immigration policy actually looks like. Senator Merkley was finally granted access to this specific detention center. Children are being kept in caging and sleeping on concrete floors with no mattresses. We must insist these sites are kept open for visits like this and we must stay outraged at this abuse.